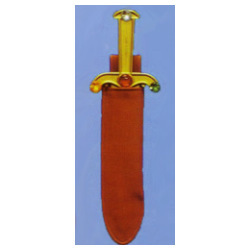 Plastic Dagger with jeweled handle and leather-look sheath with easy-hold belt loop. Dagger is approx. 13". Matching Sword also available.